There are so many decisions to be made following the death of a loved one, so much to do, and so many emotions to process. While we at Harmony can’t help too much with the grieving process, we can make the practical issues easier on you and help you find closure through the funeral process. 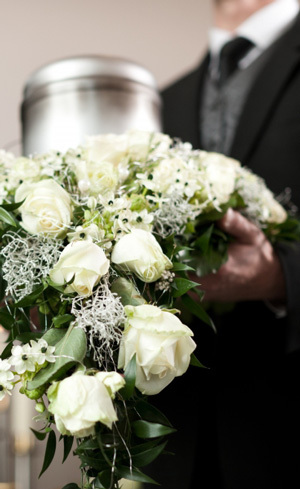 Our funeral home services serve the surrounding community of Brooklyn, and we pride ourselves on providing respectful and affordable funeral services. This week, we’ll go over some of the decisions that need to be made following the death of a loved one. 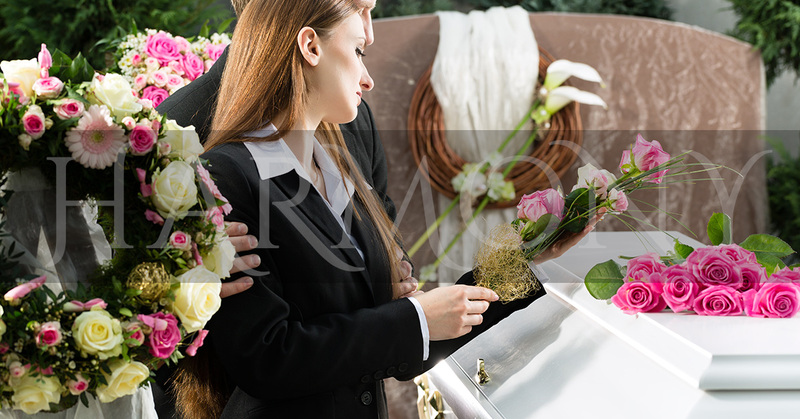 This term refers to the ways of dealing with the physical remains of your loved one. There are three options available at Harmony Funeral Home. In fact, the traditional option, though people are moving away from this because of the high cost. This choice usually involves embalming, a viewing, the purchase of a coffin, a memorial service, and a graveside service. Natural resources involved that bear consideration includes lead for the coffin liner, cemetery land, metal or wood for the coffin, and chemicals used in embalming. More and more people are choosing cremation. It is far more affordable than earth burial and does not always involve use of land or resources for a coffin. This choice often involves embalming, a viewing, a memorial service, and an inexpensive or rented coffin for a viewing, the cremation, and an urn for the cremains (as cremated remains are known). This option includes toxic chemicals involved in embalming. This option allows for a private scattering of the ashes according to the wishes of the loved one or the family. This option involves cremation soon after death and is the most affordable option offered. This option usually includes an inexpensive cremation coffin and an urn for the cremains. This option allows for planning of a memorial service since you can take your time and schedule something weeks or month in the future. This option also allows for a private scattering of the ashes according to the wishes of the loved one or the family. Contact us here at Harmony Funeral Homeif you need any assistance with funeral arrangements. An obituary placed in the paper is a very traditional way to make a public announcement about the death of a member of your family or community. Putting the obituary together can be a joyful experience as you sit with other family members and put together a timeline of the person’s life. You can review where they grew up, their maiden name (if a married woman), where they went to school, what projects or movements they devoted their time and energy to, and where donations can be made in lieu of flowers. While you have loved ones communicating on these matters, it is a good idea to discuss issues around the cemetery and a headstone. Did your loved one have a preference of where to be buried or perhaps they wanted to have their ashes scattered? Your loved one can still have a headstone and a cemetery plot if you choose cremation, in fact, several urns can be buried in one cemetery plots. If you need any assistance with funeral arrangements in Brooklyn, we hope you will call us here at Harmony Funeral Home.